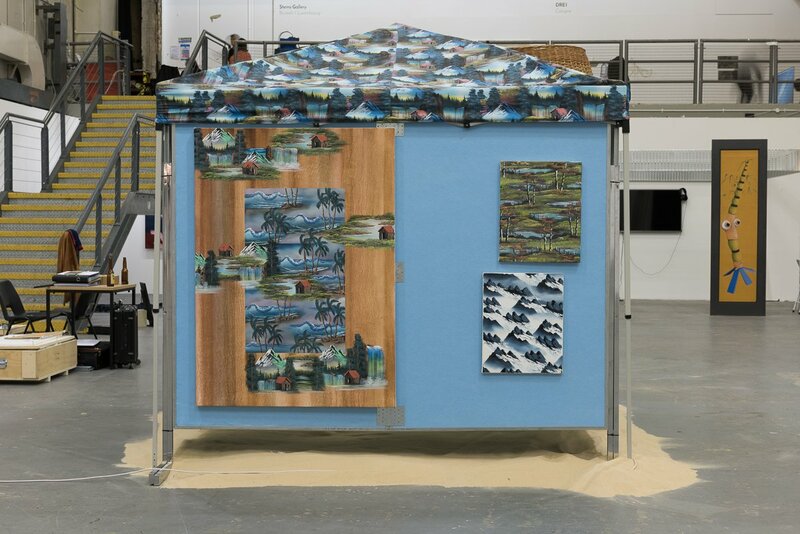 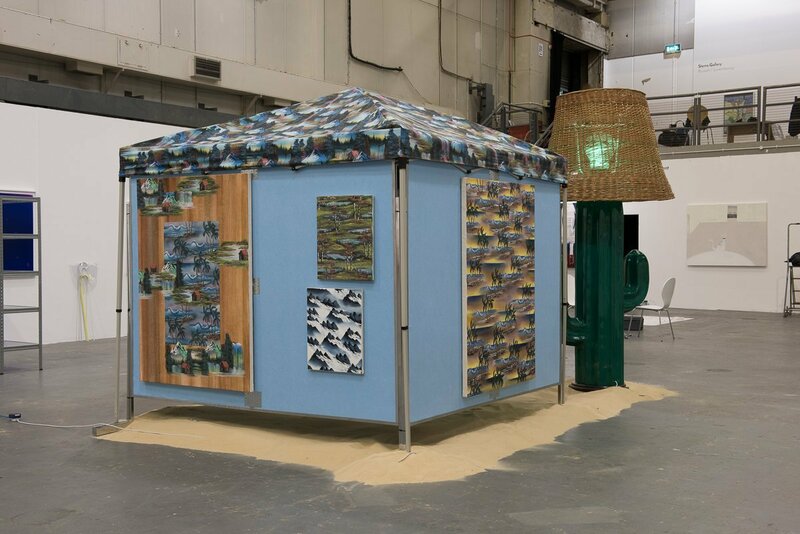 For the 2016 edition of SUNDAY Art Fair, Neil Raitt’s solo presentation expands upon his paintings’ folksy vernacular with a canopy tent in lieu of a traditional booth. 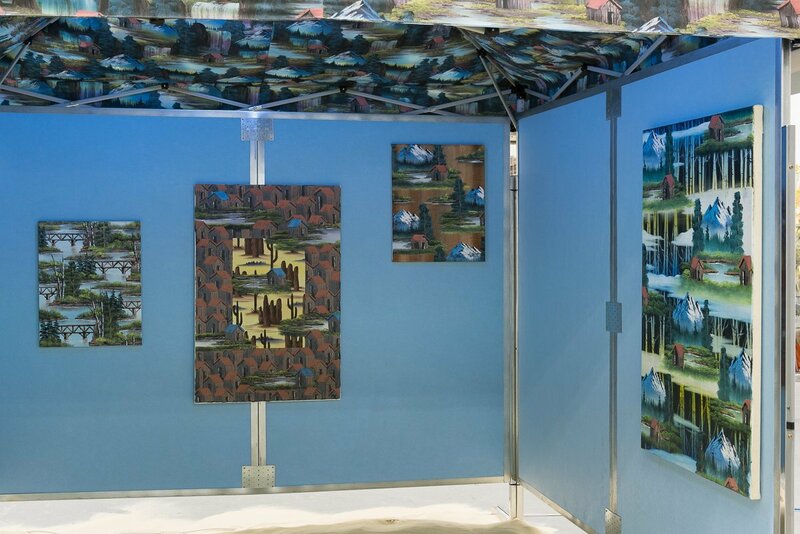 Analogous to a leisurely Sunday painter selling their wares at an outdoor arts and crafts fair, the tent displays Raitt’s painting as they would be presented in a rustic woodland or by a pop artist on a Venice Beach boardwalk. 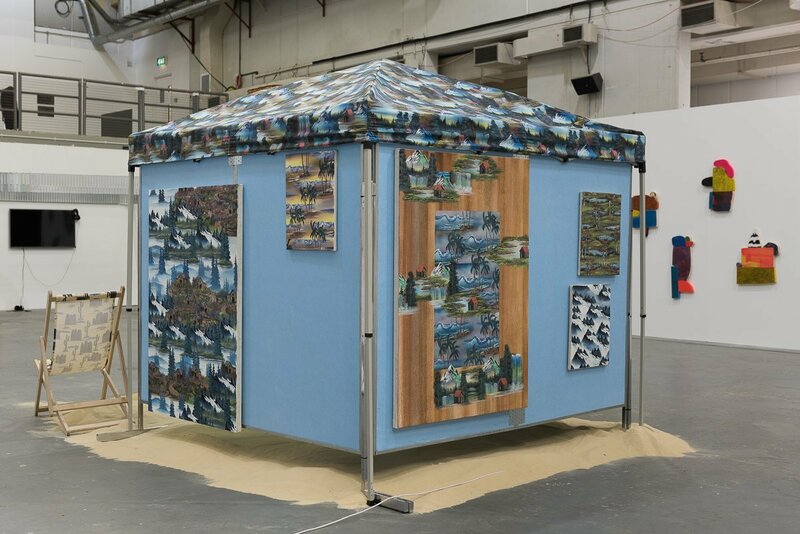 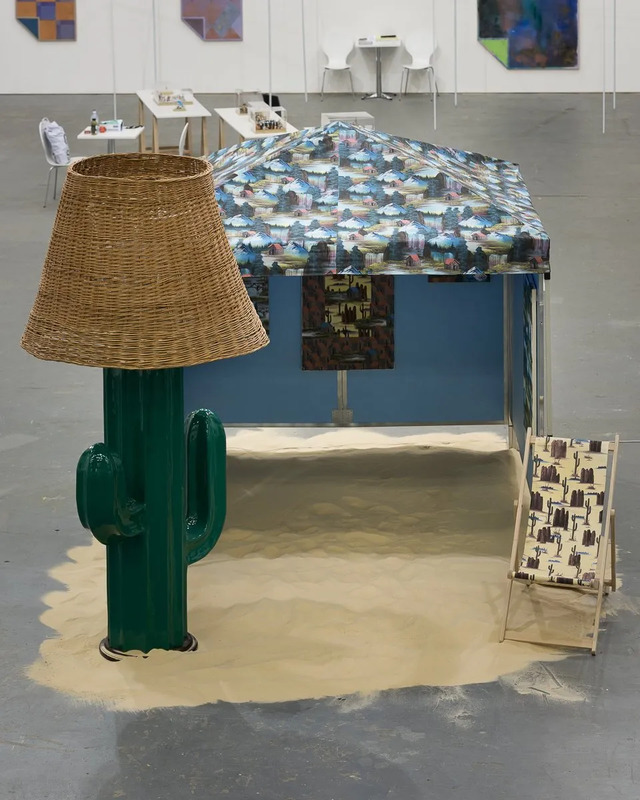 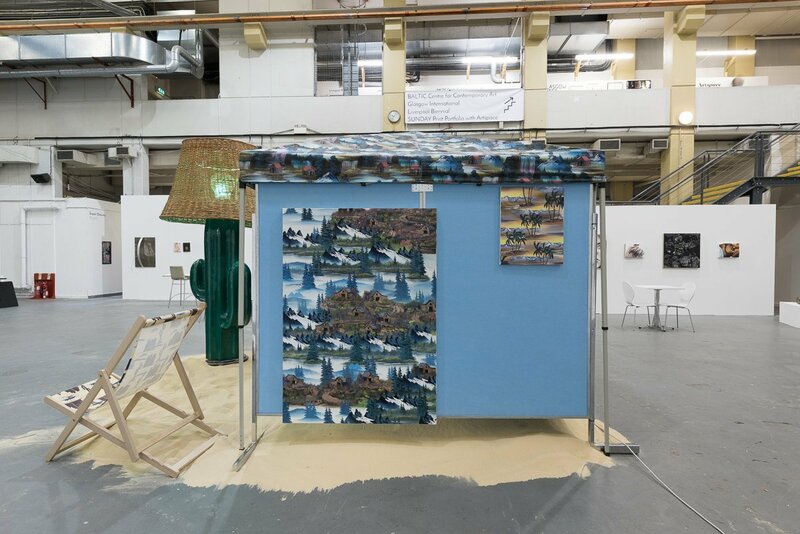 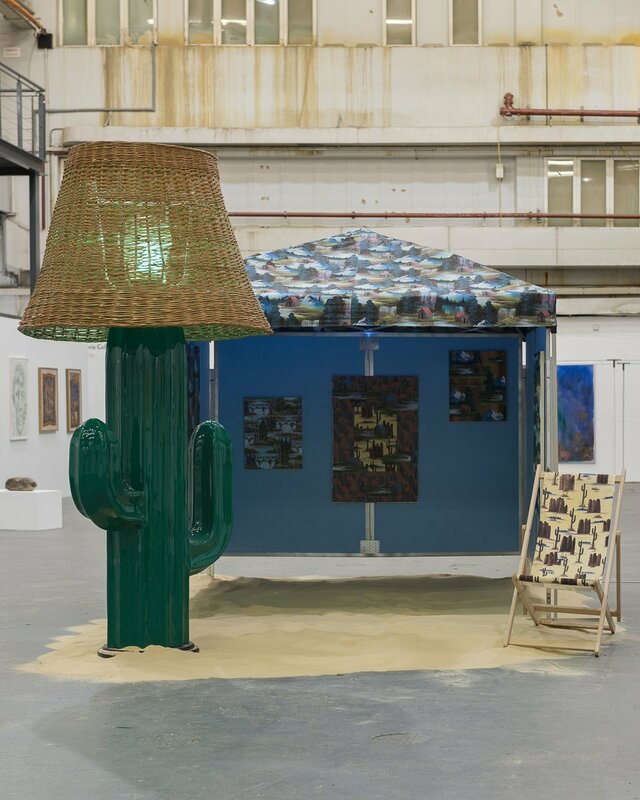 Beyond the situational nod to the novelty motifs in his work, the installation additionally critiques the underlying presence of market forces in art fair presentations, wryly alluding to the inextricability of the market within contemporary art.